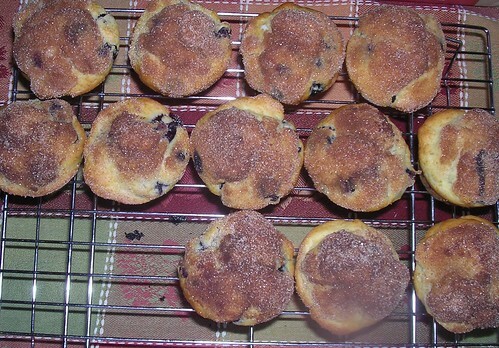 Deb's Cup of Tea: Blueberry muffins. 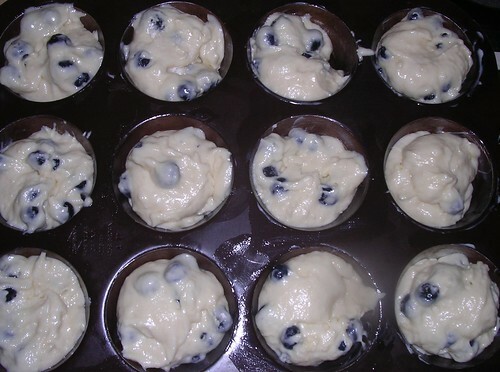 There's just something about the smell of muffins baking on a chilly fall evening. I bought a couple containers of fresh blueberries because I couldn't remember how much this particular recipe called for and why would I think to write that down on the grocery list. This recipe, unlike a lot of the ones I have, actually makes what the recipe says it will. I mentioned last year that I seem to, invariably, come up with 1.5 times the batter the recipe says I'll get. Technically, that's not a "problem", per se, but I do wonder if that means I'm doing too much beating of the batter. Sugar crusted blueberry muffins just waiting to be added to the Three Grain Pear, Fruited Bran and Chocolate Chip muffins baked and frozen. 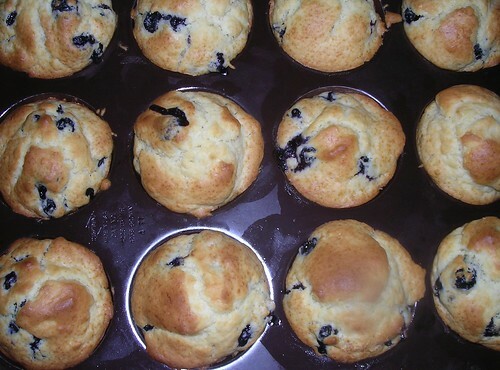 As I have another cup of blueberries, once I get the dishes done, again, I can make Lemon Blueberry Cornbread muffins. I still have apple muffins to use up the apples I bought. I may have to stop after that as I'm running out of freezer space.